If you’re reading this, you can tell that I haven’t updated my blog for a while. That’s because shortly after my last post, I started production on my third feature film. The new film is a psychological thriller. It’s minimalist, but not even close to as minimalist as Detour. 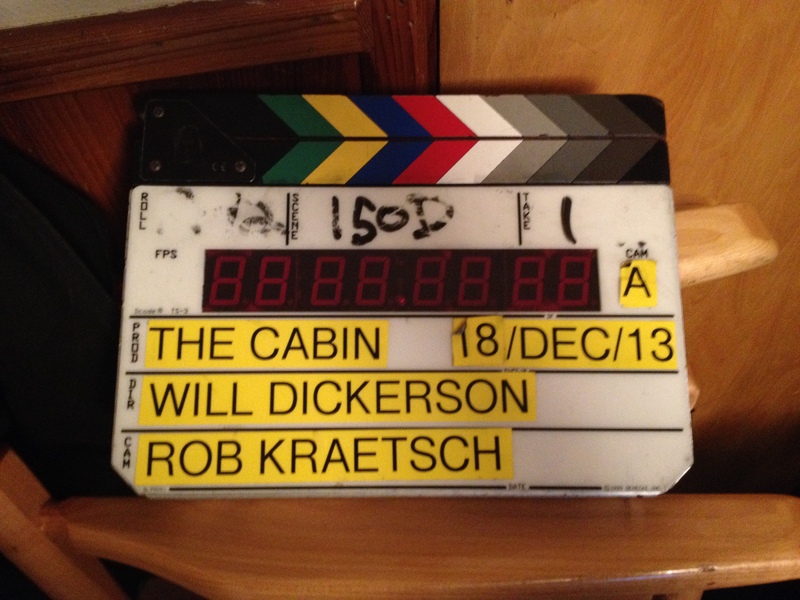 The shooting title was The Cabin, but it’s since been updated to: Don’t Look Back. Nora Clark is a children’s book writer whose life is at a crossroads. After moving back into the house she inherited from her grandmother, Nora comes to grips with the traumatic memories from her childhood, and takes in an inquisitive, seductive new roommate, Peyton, who is not entirely whom she appears to be. We began pre-production in October 2013 and started shooting two months later in early December. It was a 14 day shoot, which isn’t that long, but not uncommon in the world of indie filmmaking. The movie is a contemporary thriller that has a bit of a throw-back quality to it; a quality that, as a filmmaker, I felt channeled the early work of De Palma and Polanski. It is a type of project that I’ve always wanted to explore as a director. I had a wonderful crew. I re-teamed with my Detour cinematographer, Rob Kraetsch, and first assistant director, Paul Yates, to shoot the film. It was my first project with producer, Andrea Ajemian, who helped bring the movie, which was built from a story by Michael Testa, to life. I also had the privilege of working with a terrific cast, including Lucy Griffiths (True Blood), Cassidy Freeman (Longmire), Tyler Jacob Moore (Shameless), Kate Burton (Scandal) and Roddy Piper (They Live). I must admit, I was duly impressed that we had two John Carpenter alums on set: Kate, who starred in Big Trouble in Little China, and “Rowdy” Roddy Piper, who starred in the cult classic They Live. If I’m not mistaken, They Live still boasts the longest fight sequence in cinema history. My first AD carried around a bucket full of bubblegum on set, just in case. 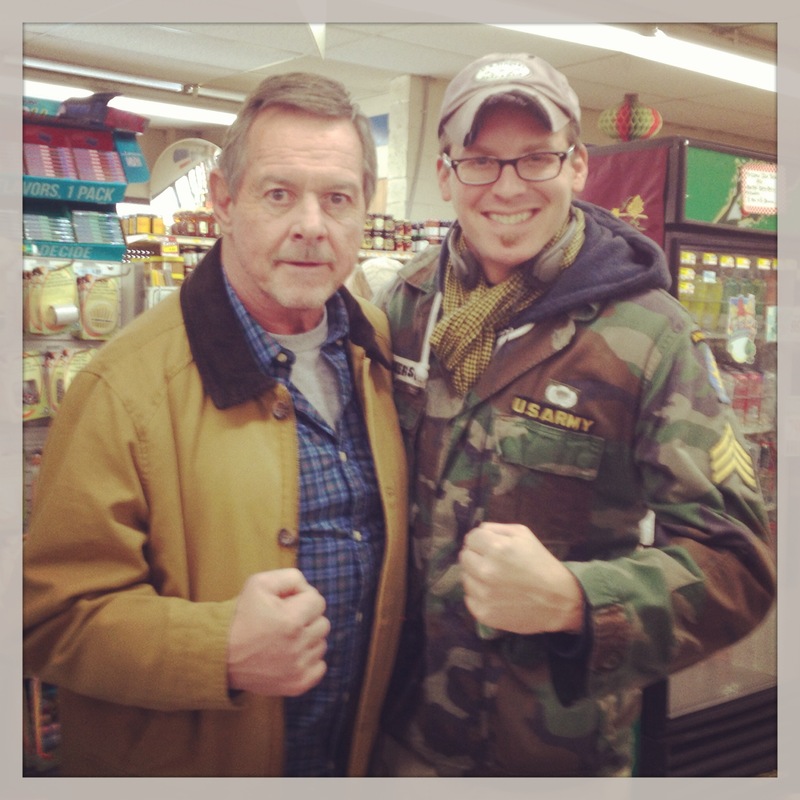 In all seriousness, Roddy was just amazing to work with; a true professional in every sense of the word. He plays against type in this film, and I strongly believe he’s gonna get some notice for his performance. It’s sure to hit a lot of nerves. We just finished post-production, and the movie looks and sounds terrific. MarVista Entertainment is set to release it. Please stay tuned…I will be sure to post more info when the time comes. In the meantime, DON’T LOOK BACK!